Puma took the basketball market by storm this summer with the signings of promising rookies DeAndre Ayton and Marvin Bagley III plus the release of the Clyde Court Disrupt — their first basketball shoe in more than two decades. Now they’re getting in the autumn spirit with a “Skeleton” take on their new-age sneaker, just in time for Halloween. 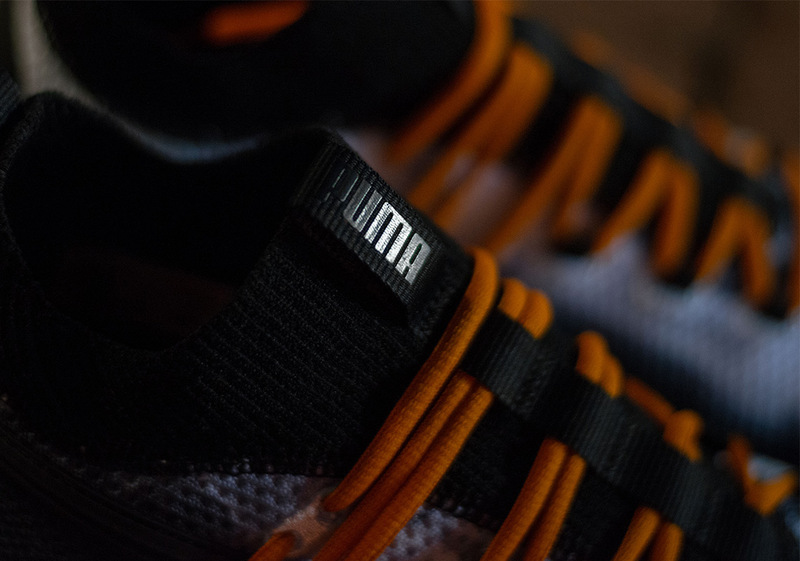 The special shoes feature a printed x-ray foot bone graphic on their black knit upper, while vibrant orange laces add a small touch of seasonal contrast. 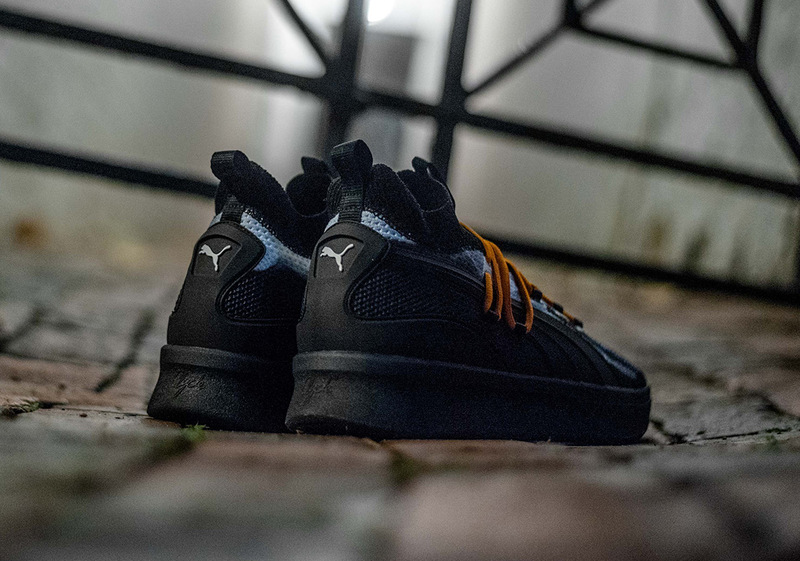 The translucent midsole and outsole show off Puma’s hybrid cushioning technology, and the upper’s knit Formstripe nods to both Puma’s rich hoops heritage and their original basketball frontman — the legendary Walt “Clyde” Frazier. 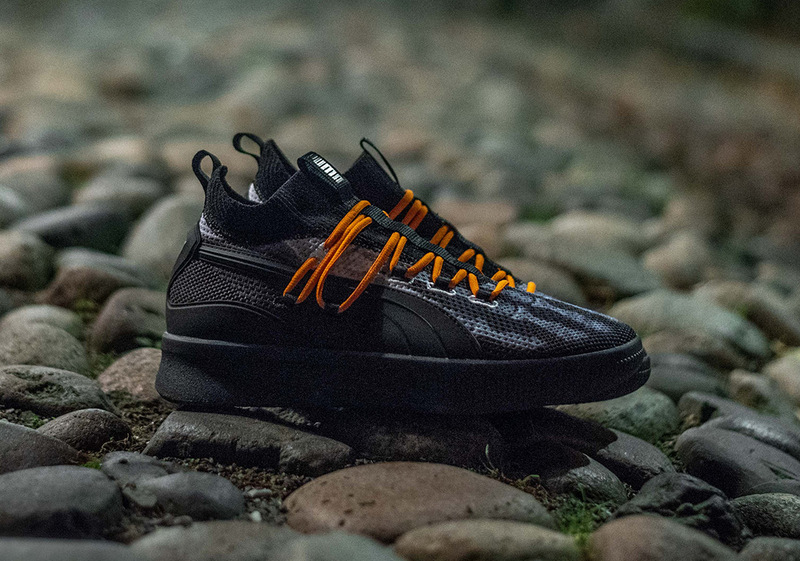 The German brand has teamed with Boston Celtics guard “Scary” Terry Rozier to unveil the shoes, and the rest of their athletes will debut the new footwear on the court soon as well. 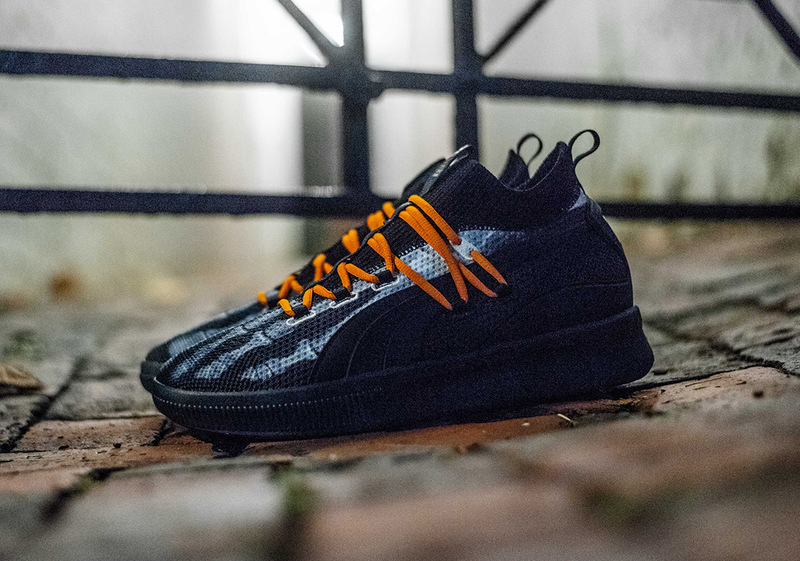 Look for these All Hallow’s Eve-themed kicks to release at Concepts and other Puma Hoops stockists October 30th, retailing for $120 USD. 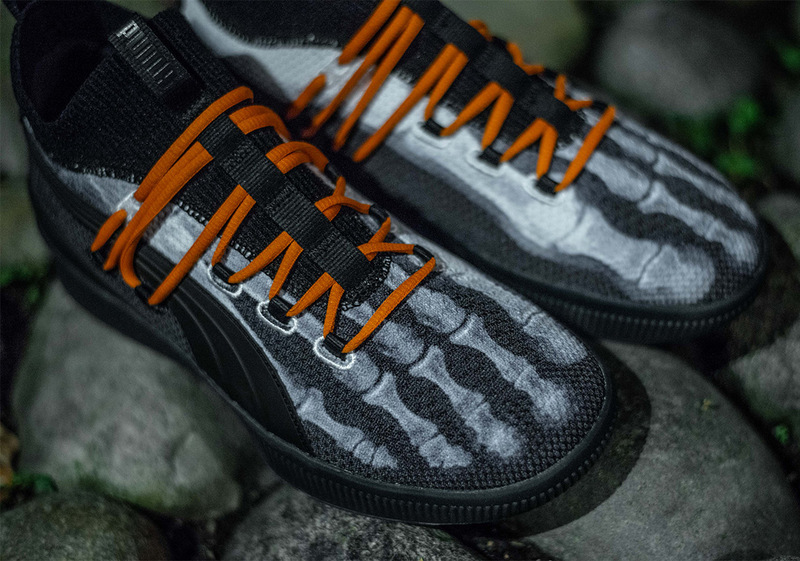 The post Puma Is Releasing An “X-Ray” Edition Of The Clyde Court Disrupt For Halloween appeared first on Sneaker News.